If it were the dating world, you might label the relationship between Kootenai Health and Providence Health Care through the years as "friends with benefits." The two operated separately and had never formalized any kind of relationship, yet they shared certain values, and they'd occasionally get together for a common goal. In June, however, Providence and Kootenai announced the relationship had taken a step forward. The two organizations formed a not-for-profit entity called the Kootenai Providence Health Alliance to better serve patients and improve health across the region. Call it an "open relationship" between Kootenai and Providence. It's not an acquisition or merger, and both organizations will continue to operate independently. It's a unique, formalized alliance between two of the major health care organizations in the Inland Northwest. Scott O'Brien, chief strategy officer for Providence Health Care in Eastern Washington and Montana, says the two sides had been flirting with the idea of making the relationship official for more than a year. "We've had those discussions about what that might look like. We realized there's a lot of things we could do better, together," O'Brien says. "This is sort of the vehicle, or the way we landed on doing that." The agreement benefits both sides, but it's the patients who may see the greatest benefit. With the two entities sharing medical records, and in some cases physicians, the continuity of care for patients is expected to improve. It will be easier for patients, both in North Idaho and Eastern Washington, to stay in their local communities for quality health care. "That will be a common theme: How we can better coordinate the patient experience to see how we can drive better outcomes," O'Brien says. "Then, how and where we can provide greater access to patients closer to home." There are already plenty of examples of successful collaboration between Kootenai and Providence. The two have joined together for education initiatives, for a venture on radiation oncology, and for Kootenai's cardiac surgery program that uses surgeons from Providence. Those kinds of efforts will only expand, says O'Brien. "We have different partnerships with other like-minded organizations in other communities, but this is sort of the only one that's gotten this far," O'Brien says. "Kootenai and Providence know each other really well and have our shared commitment to the community, and we know we're a good fit, in terms of working together." Here's an example of how the collaboration benefits both organizations, right now. Kids and families who come to Providence's children's hospital for clinic visits sometimes must travel from North Idaho. Providence has been looking for a way to have an outreach clinic in Post Falls to better serve its patients. Under this alliance, physicians from Providence can use Kootenai buildings in Post Falls — saving Providence the cost of constructing its own buildings. From Kootenai's perspective, it brings pediatric subspecialists to a community that otherwise wouldn't have the population to support pediatric subspecialists. Eventually, it could lead to other physicians rotating to North Idaho. "We've got physician resources that we can share with them, and they've got some facilities and some space that we can use," O'Brien says. "So we're able to provide that service to the community more affordably than if we did it separately." For Jon Ness, Kootenai Health's chief executive officer, probably the best part of the alliance is sharing electronic medical records through a system called Epic. Kootenai Health was using an electronic medical record system called Meditech, which "has not been meeting our needs," Ness says. Kootenai went through the process of evaluating alternatives, and it became clear that Epic was the best option. 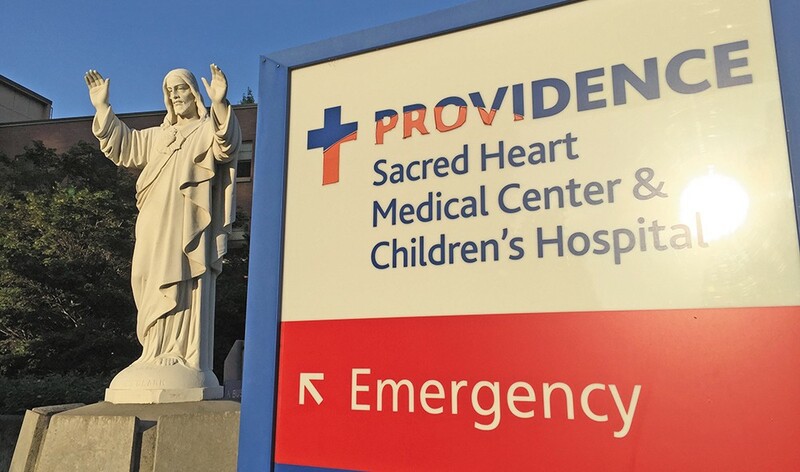 Coincidentally, it's the system Providence uses as well, and under this new alliance, patient records can be shared between systems — with Providence also providing some technical support. Essentially, if a patient sees a provider in North Idaho, records from that visit can easily be found if the same patient visits Providence at a later date. "All of our patients in North Idaho and Providence are on one shared regional medical record," Ness says. "We think that is unique." The alliance will have its own board with representatives from both organizations. Soon, a chief administration officer will be chosen to lead it. "That's really the only cost," O'Brien says. "We want a senior leader who can get up every morning and can focus on what Kootenai and Providence can do together to better meet the needs of the communities we're serving." The alliance may consider future initiatives focusing on women's and children's services, community wellness or information technology. In addition, they will discuss how to better address behavioral health issues in Eastern Washington and North Idaho, along with the prescription opioid crisis facing the area and much of the nation, Ness says. Even though it's an alliance, Ness says it's actually a step toward Kootenai maintaining its own independence. It helps Kootenai provide quality services to patients, closer to home, even as independent and smaller hospitals continue to be bought out by larger health systems across the nation.